“This time is different.” For many investors, these are the four most dangerous words in finance—a hubristic statement that often precedes a hefty slice of future humble pie. However, when it comes to the video games sector, this time really could be different thanks to the positive impact of digitalisation, which is transforming the business models of companies in both the design and publishing areas of the value chain. The overall profitability of any industry, as well the profits earned by the actors within that industry, will shift and change over time—often accelerated by advances in technology. A great example is provided by the North Atlantic fishing industry, as described in Mark Kurlansky’s best-selling book: “Cod: A Biography of the Fish That Changed the World”. For centuries, cod had been a key source of wealth for New Englanders, Canadians and Icelanders. But overfishing fuelled by population growth gradually led to declining catches. Fishermen responded by investing in larger boats and industrial fishing equipment to catch more cod, further depleting fish stocks, which in turn incentivised investment in larger boats and even better equipment, and so on. In this instance, technology shifted the economic profits from the fishermen to the providers of capital equipment. The point stands, that in this cherry-picked example at least, changes in technology have caused major shifts in profitability. It just so happens, however, that new technology is currently also changing the profits outlook for the video games industry. London Stock Exchange Regulatory News Service statements from 18 January 2000 to 13 June 2000. Consumers deferring spending on new games due to the new console cycle. Needless to say, Eidos at this time had a chequered record of profitability, as the chart shows. But this was back in the old days when all games were disc-based and distributed physically. Evidently being a publisher in a physical disc world was laced with difficulty, both for Eidos and for investors, who were ever exposed to the danger of optimistically extrapolating earnings trends. Source: Eidos plc annual reports. 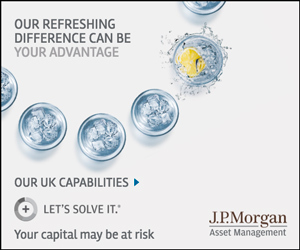 J.P. Morgan Asset Management. Control of the second hand market – In the days of physical discs, the first few weeks after launch were (even more) critical for revenues, as a “trade-in” cycle would then occur once early adopters had finished playing with a game. Publishers lost pricing power once this occurred, whereas a publisher can now control the pricing of their back catalogue of games. Access to global markets – Entering new markets previously meant occupying shelf space, which required relationships with distributors and retailers. The online platforms from Steam, Microsoft, Sony and Nintendo offer near unlimited shelf space and access to global markets, which should allow successful publishers to grow without risking too much of their own capital. While this might increase competition within the sector, due to lower entry barriers, it also means that the success of the winners will be magnified. Time will tell as to whether the video games industry does improve for the better, but it is exciting to see that the UK has a burgeoning sub-sector of listed players in this transformational sector. 1 London Stock Exchange Regulatory News Service statements from 18 January 2000 to 13 June 2000.